Scottsdale, Arizona (August 23rd, 2017) – Following another fast paced, high energy showing on Fisherman’s Wharf, downtown at Monterey, California’s world-renowned collector car week, Russo and Steele Collector Automobile Auctions today announced incredible sales results with early totals reaching $8.6 Million. With a nearly 15% reduction in vehicles offered, this represents a strong emphasis on sell through and a higher quality docket, and thus continues to solidify Russo and Steele as “The Most Exciting Collector Automobile Auction Company in the World”. Russo and Steele also once again reported record breaking attendance increases, which further demonstrates the strength of the companies ever growing, passionate base of followers. Next, Russo and Steele proudly presents its triumphant return to the high desert of sunny Scottsdale, Arizona and its ultra-premium new venue, Salt River Fields at Talking Stick for its flagship event January 17-21, 2018. It also marks the kick off to 2018’s collector automobile season and the premier of the Southwest’s most important Concours event: Concorso Arizona presented by Scuderia Southwest, Salt River Fields at Talking Stick and Russo and Steele on January 13th. To market your collector automobile be sure to contact Russo and Steele’s friendly and expert Consignment Specialists early to maximize your sale result! For Enthusiasts by Enthusiasts™. It’s not just a tagline – it’s our lifestyle! As one of the nation’s premier collector-car auction houses, Russo and Steele continues to innovate, set new records, and attract clients worldwide. In addition to offering stellar collector automobiles, our thrilling “auction in the round” experience and passion are simply unattainable anywhere else. 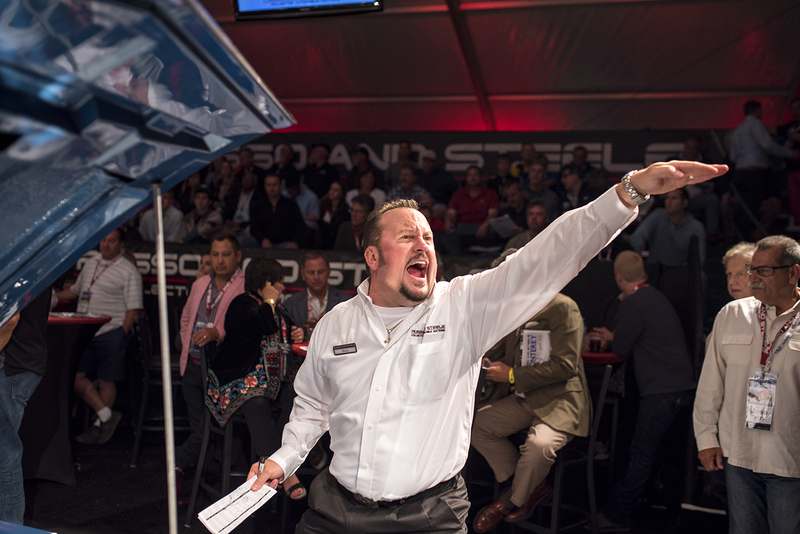 Auctions include our signature event in Scottsdale, Arizona every January, followed by Newport Beach, California in June, and Monterey, California in August.